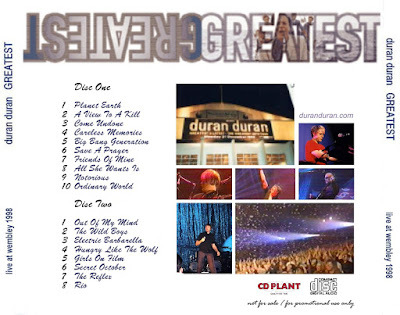 Notes: This is the final show of the "Greatest And Latest", and the best bootleg of that tour. The audio quality is an excellent soundboard, and the tracklist is nearly complete (just "Is there Something I Should Know?" and "Virginia Plains" are missing). The show was aired in a Japanese TV, so the video version is also available. 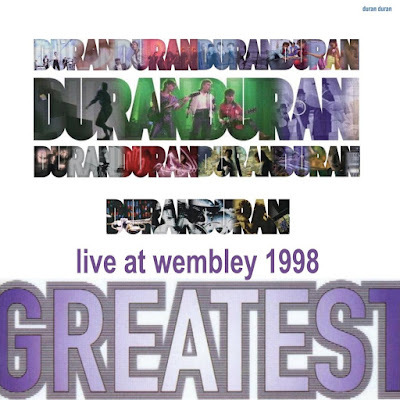 All the greatest hits of their history are here, and the performance is very good. My favourite songs are "Friends Of Mine", "Careless Memories", "Secret Oktober" and "All She Wants Is". Simon sings all the hits with energy and passion. The songs are performed in their original "album" or "single" version and no different arrangements are here, included "Secret Oktober" which is performed in its slow version. During "Rio", Simon introduces a special guest: ANDY HAMILTON playing the sax solo! Even if you are not a collector, you should have this cd: this is the definitive Duran Duran "Greatest Hits" in an excellent LIVE version. anybodody got this on hdtv retro broacasting ?